Waltzing Matilda: WWRW: Official Christmas Edition! ***Yes, I know it's Tuesday… now. My days are so messed up so just count me early for tomorrow. The kids were *almost unanimous that this one had to be read this year. 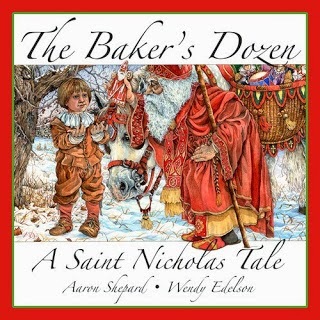 It's a great family read aloud book that starts with the first chapter on the Feast of St. Nicholas and then doesn't pick up again until the first day of Christmas. I've mentioned this book before when we made our first Epiphany Tart but since it was such a big hit, I thought I'd mention it again. 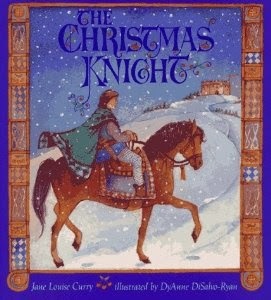 This story is based on a medieval tale of a generous nobleman. The illustrations are lovely. I can't tell you much more than that because it's wrapped up right now. It looks like this one is OOP so keep your eyes peeled for it. Maybe check eBay? It's Christmas AND H. A. Rey. What's not to love? A sweet little punch out creche and a pocket to keep it contained in the back. 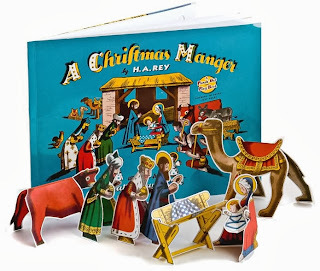 Just so you know… the book part of this book is just a couple of pages of the Nativity story from the Gospels of both Matthew and Luke. Most of the book's other pages are the punch out figures. Please tell me you have this book. Everyone should have a copy of this book! The illustrations are so intricate and detailed and the story is inspiring. Right now, the Kindle copy is only a penny, but trust me, you are going to want to own a copy. We are already on our second one. 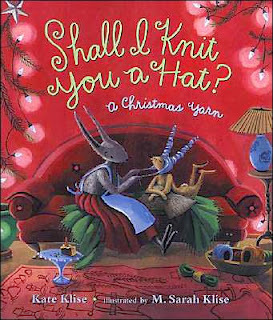 This lovely story was new to us last year but it has already become a favorite this year. We read it the other night and even Cupcake was captivated by the poetic words. I caught her whispering "It's time. It's time." So sweet! 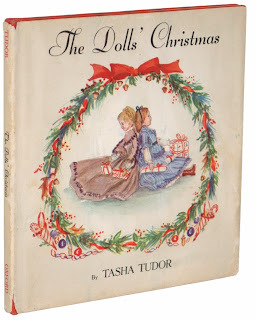 I have my mother's copy of this book from when she was a little girl. When I found out several years ago that it had been reprinted, I purchased an obscene number of them and handed them out as gifts to anyone I knew who brought home a little bundle of sugar and spice. With the number of pregnancies announced lately, maybe I better stock up on some more! Head on over to Jessica's to find more great Advent/Christmas suggestions! All these fabulous booklists! I need more money and more room in my house! Love them! 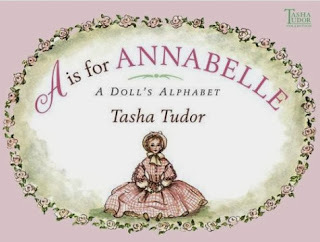 A is for Annabelle arrived last week, and you are right, it is perfect for my little "Rose!" I can't wait to give it to her on her birthday in a couple weeks! 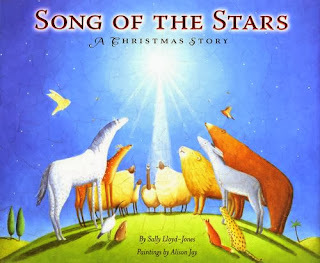 I'm going to have to get a copy of Song of the Stars... I've considered it in the past but still haven't purchased a copy! I may have shared this already, but I got to go to Corgi Cottage and meet Tasha Tudor and her son Seth - it was wonderful! 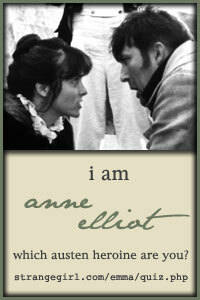 I love her books, so very much! 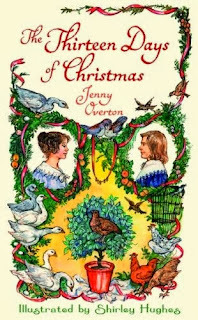 I wish I could drawl into those illustrations with my family, it all looks so magical and lovely. We just read Shall I Knit You a Hat? today, what a surprise to find it on your list. I shall have to check out some of your other suggestions. 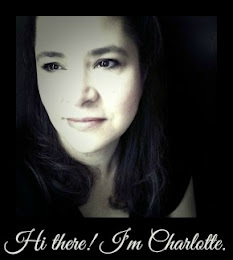 I love all of these Charlotte-can't wait to get more Tudor! If you have A is for Annabelle, you must have 1 is One? Right?